In 1864, the Jewish community in Libočany was transferred into Saaz. Synagogue Libocany was cancelled and it was purchased the house no. 638 in Prague Street (away from the Circle Square to the monastery, today Obrancu miru), which for several years served as a makeshift chapel. Religious items of Libočany synagogue were also transferred there. About the founding of the Jewish community in Saaz reports the protocol of 20 March 1864 under the chairmanship of the head of Mr. Joachim Leder in house no. 638. Unfortunately, this protocol has already been lost. But the statutes of the newly established Jewish community are saved with the original 19th century registry office book in the regional archive in Louny. Due to the fact that the Jewish community in Saaz still growed it was decided by the chairmen of the community under the head of Mr Joachim Leder that a new synagogue will be built. For this purpose, it was purchased the building in Dlouha/Long Street no. 200. This house had a housing part and on the north side it had a facility part. This section was intended as a habitat of a new synagogue. Construction began in 1871 under the direction and according to the plans of an architecture engineer Mr Johann Staniek and already 19 March 1872 it was inaugurated and consecrated by Rabbi Dr. Abraham Frank. In 1911, the synagogue was renovated and new paintings were dedicated by the family of Fanny and Alois Löbl and family of Anne and Karel Glaser. But already around 1880 grew in Saaz strong anti-Semitic tendencies. It was not based however, on religious or economic basis but this anti-Semitism was now based on racistic biology and ideology. This resulted in the reduction of the members of the Jewish community from 1,241 members in the year 1900 to 924 in the year 1930. During the duration of the first World War were in Saaz several hundred Jewish war refugees from Galicia and Bukowina. The Jewish community in Saaz was in charge to care for them and gave them food and accommodation at their own cost. In Saaz there were several Jewish foundations founded by wealthy Jewish merchants and also some cultural and sporting associations which participated in the cultural and economic life, and thus contribute to the wealth and development of the city. As early as the First World War 1914-1918 left its traces on the children of members of the Jewish community. Many of them were killed or died in this World War due to their injury or disease by which they were infected. In November 1938, the National Socialists setted the local synagogue in fire and the entire inside of it almost burned down. Only thanks to the rapid intervention of firefighters in Saaz it wasn´t taken by the fire. 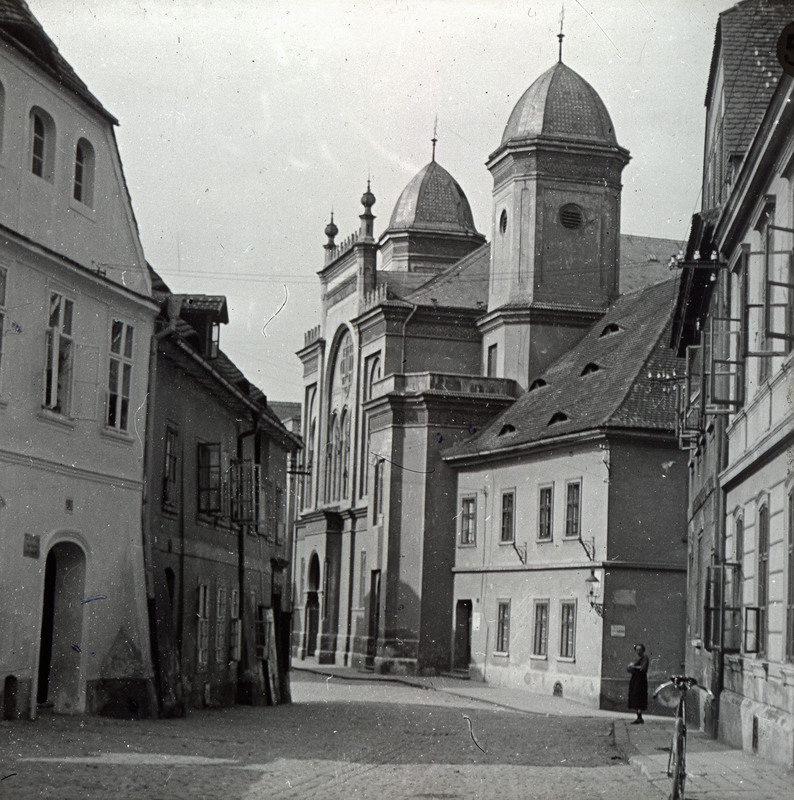 During World War II, the Nazis used the synagogue as an auxiliary hospital and school. In this time disappeared benches and organ. After the war, the synagogue was used as an agricultural cooperative store and it was totally devastated. Today, the synagogue belongs to Mr. Daniel Černý, who is hard working on its reconstruction and use it for cultural events. Berthold Sterneck (1887-1943), born in Vienna, started his carreer 1913 as an opera singer at the Saaz theatre. 1923 he was called at the Bavian State Opera in Munich, where he was 1936 dismissed being jewish. Only few Saaz Jews survived the Holocaust as f.e. 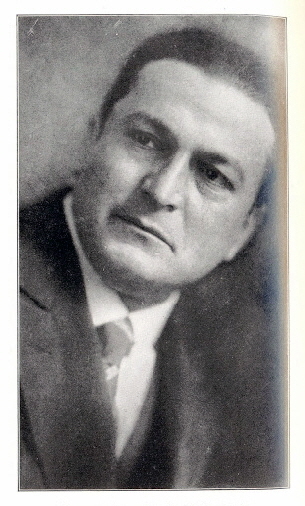 Otto Beck who returned from Auschwitz. Most of those who returned left in 1949 into Israel or other Western countries because they were considered here as Germans and it also confiscated the property to them. The remained Jews established under the chairmanship of Karel Körper († 1950) a new Jewish community. Until 1954 the former Jewish school and the rabbinate in Dlouha/Long Street was used for Jewish religious services. As a cantor served there Mr Jindrich Kohn († 1955) then the Jewish community was represented by Mr Otto Beck, until his death in 1976. Written documents about the Jewish community from the post-war and Communist era unfortunately has not been preserved until these days. Today Saaz community falls under Teplice Jewish community which has 121 members. In Saaz lives only the Beck´s family from the former Jewish community members. Elisabeth Kars (1929-1944) was born in Saaz as daughter of Anton Kars und Erna, born Vogl. 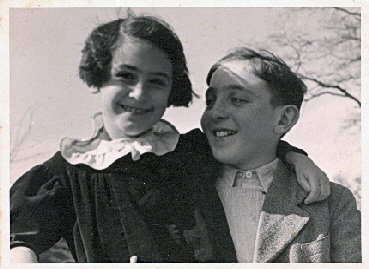 From 1938 on she lived in Řevničov, from where she was brought to Theresienstadt and afterwards murdered in Auschwitz.